The death of Savita Halappanavar from septicaemia following a miscarriage at Galway University Hospital in Ireland on Sunday 28 October is a horrific tragedy that demands urgent and thorough investigation. It is too soon to know if inducing her labour might have saved her life. But what can be said with certainty is that — to the contrary of the gynaecologist’s reported comments — Catholic teaching would not have stood in the way of such an operation. That a healthy 31-year-old woman, who had been seventeen weeks pregnant with a baby girl, could have so died in a country regarded as a world leader in maternal health care has led to understandable incredulity and rage. Her husband Praveen believes his wife would still be alive if, once it was clear that she was having a miscarriage, doctors had induced her labour as she had asked. They refused, he said, on the grounds that to do so would be against the law, as Ireland is a Catholic country. Assuming each of these statements to be true, The Times of India has accused Ireland of “murdering” her while Richard Dawkins, ever the opportunist, tweeted that “Irish Catholic bigotry kills woman.” This narrative has been taken up by Catholics such as Judith Woods in the Telegraph, who hangs her head in shame that a life has been sacrificed on the altar of dogma. But where are the facts to support such a conclusion? Ireland’s Minister for Health, Dr James Reilly, said he was privy to facts which he was not in a position to share, and that he had no evidence that the Catholic ethos of Galway University Hospital had in any way prevented Savita from receiving proper medical treatment. There are serious questions to address, not least establishing when doctors should have realised Savita had an infection that could have endangered her life. Praveen says that he was assured by staff on the morning of Sunday 21 October that Savita showed no sign of infection, but within a few hours the staff were aware that Savita’s cervix had fully dilated and was leaking amniotic fluid. Denis Campbell, health correspondent of the Guardian, points out that Savita would certainly have been at risk of infection from at least this point. He says the hospital’s apparent failure to recognise this — not starting her on antibiotics until the night of Tuesday 23 October — will be the central issue to be investigated. Even this is unclear, however. Galway University Hospital has not detailed what took place, and reports are confused. The Irish Times initially reported Praveen as saying that Savita did not begin antibiotics until Tuesday night; RTE, the Irish national broadcaster, says that the antibiotic course was begun on Monday; Praveen has since said to the Irish Times that the hospital started Savita on antibiotics on Sunday. There are risks, let say, if you decide that a woman is at risk of infection or has an infection. You decide as in this case – presumably infection was suspected at some point – that there are risks of bleeding from the termination itself, you can induce labour, sometimes if there’s a surgical procedure there are risks of damage to the womb itself. So it’s not without risk. The interventions carry risk as well as the non-interventions. Noting that “aggressive conservative management” of situations such as Savita’s is often the best approach, Walsh also pointed out that pregnancy-related sepsis can strike suddenly and lethally, almost one woman dying every month from this in the UK. On the other hand, if the staff at Galway University Hospital genuinely felt that the best course of action to help Savita was to induce preterm labour, Ireland’s Guide to Professional Conduct and Ethics for Registered Medical Practitioners is unambiguous that they could have done this. In current obstetrical practice, rare complications can arise where therapeutic intervention (including termination of a pregnancy) is required at a stage when, due to extreme immaturity of the baby, there may be little or no hope of the baby surviving. In these exceptional circumstances, it may be necessary to intervene to terminate the pregnancy to protect the life of the mother, while making every effort to preserve the life of the baby. We consider that there is a fundamental difference between abortion carried out with the intention of taking the life of the baby […] and the unavoidable death of the baby resulting from essential treatment to protect the life of the mother […] We have never regarded these interventions as abortion. If the gynaecologist did say this, she was ignorant of Catholic medical ethics. Nothing in Catholic teaching prevented Galway’s doctors from taking necessary action to protect Savita’s life. Doctors, nurses, and midwives throughout Ireland, whether Catholic or not, constantly strive to ensure pregnant mothers get whatever medical care they need, with the effect that, as Bishop John Fleming reminded us in the Irish Times only this week, Ireland is recognised as one of the safest countries in the world to be a pregnant mother. 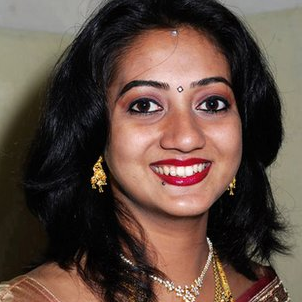 Savita Halappanavar’s death was a tragedy, but we do not yet know what caused it. We would compound that tragedy if we were to enlist Saviva’s death and that of her child in a misguided campaign to change Ireland’s abortion laws on the assumption that different laws would have saved her life. This entry was posted in Uncategorized and tagged Abortion, Ireland, Savita. Bookmark the permalink.